With hundreds of reusable stickers to apply to your favorite notebook, lunchbox, locker, and more, The Lego Movie Ultimate Sticker Collection Book makes a great gift for LEGO fans everywhere! 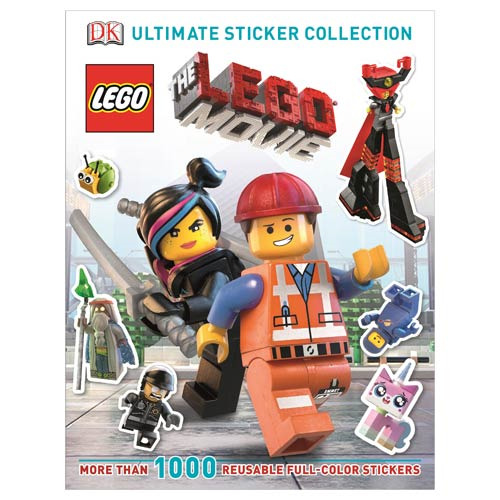 Featuring over 90 pages of vibrant and colorful stickers inspired by characters and locations in The LEGO Movie, this is the ultimate sticker book for fans of the animated film. Not only does The LEGO Movie Ultimate Sticker Collection Book include stickers, but it also has some fun facts on The LEGO Movie, too. Ages 6 and up.